The best way to experience Lake Coeur d’Alene is on your own private charter boat with Lake Coeur d’Alene Cruises. We can help create the ultimate party, wedding, reception or other special occasion. 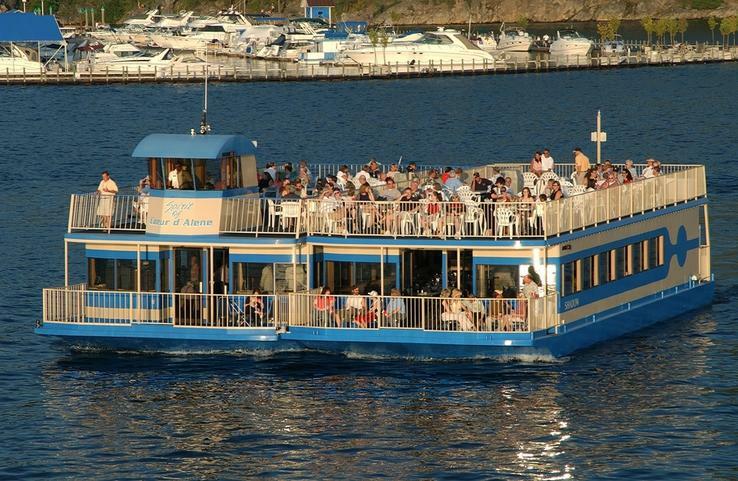 And our floating boardrooms are an ideal business getaway, surrounded by Lake Coeur d’Alene’s beauty. We’ll assist in selecting the right on-board food and beverage service, from a gourmet buffet to simple hor d’oeuvres. Join us for an outing to remember.